I guess I can use any these words: psyched, elated, happy, & inspired. Today is an in-service day. All of my colleagues and I have been working hard, thinking, teaching, laughing, and making connections with the kids. We’ve been feeling like we’ve had too much snow, and feeling like we’ve had too much of everything. It’s just that time of the year when everyone’s sluggish (not to mention, our students started their 5-day break today!). My closest colleagues, Dina, Evan and Jerald, and I met together after lunch to talk about our department happenings. Dina and Evan teach art; Jerald and I teach music. All of us are very different, but work really well together. We began to talk about our Visiting Artist Week – answering questions to what worked well? What didn’t? What can we do better? And then it kept happening. What, do you ask? Collaboration of ideas! Four of us actively engaged in lively conversations about integrated curricula for next two years. We were drawing, writing, laughing, smiling, and passion-driven. This is why I love working with these people. They inspired me to keep going and create art and solve problems together. I love it that we work beautifully together and make learning fun and excellent for the students. How incredibly blessed I am to learn and work with them! N.B. This particular meeting went half hour into our personal learning hour (first time we were given this for in-service day). Since were encouraged to do something for ourselves to either learn or do, I chose to reflect. It was fun sharing this post with my colleagues during our wrap-up! It’s been about a year since joining Twitter. I have met hundreds of passionate, student-focused teachers who are ardent about education today. Reading their blog posts and engaging in conversations about teaching practices, our education system and about today’s learning cultures have made me a different teacher. All kidding aside, today has been declared a National Blogging for Real Education Reform promoted by ASCD and AASA. It’s not that I have anything revolutionary to add to many voices, but I did want to join my colleagues everywhere who are blogging today for a real change. I do believe that a real change will happen through the voices of the people who believe. Education Reform – Why and What? We need a nap/rest time during the day. Learning can’t happen when I’m so tired. (I often go to bed at 9 PM). How about making classes in a virtual community, or talking classes online school? (I want to see what kind of person a teacher would be in a virtual world. I’d want to follow her/him around there). I wish there was less memorization & more meaningful learning (I’m horrible with dates). I think people learn differently. It’d be nice if teachers see the differences. (I’m a visual learner). Music and Art classes are the only times when we can be creative. I wish we had more time to create. Why Do Their Opinions Matter? my students are serious about learning. My students did not blame the teachers, or the education system, but expressed that they felt like they were stuck with the “this is how it is” mentality. They also admitted that they needed to be more responsible for their education. I say a lot of what my students were saying is right. Learning should be meaningful. And anything that is excellent takes time. In this poignant New York Times article, America and the ‘Fun’ Generation the writer makes a great distinction about achievement over excellence and fun over pleasure. I can’t help, but feel for my students who are pushed to achieve high marks for core classes. There is no pleasure (or hint of fun) in what they do. If we do not consciously create a space for students to explore their ideas and create anything, we will only produce students who will just do, do, do. What are they exactly becoming by being these busy bodies? Does it really surprise us when this generation gets easily bored? Obviously, the answer to education reform does NOT lie in all-arts based education. But what needs to happen is that all of the adults, including parents, teachers, administrators, and the Department of Education, need to work together to reexamine our decisions for our young people. What develops the young in mind, body and character? How do we teach excellence? 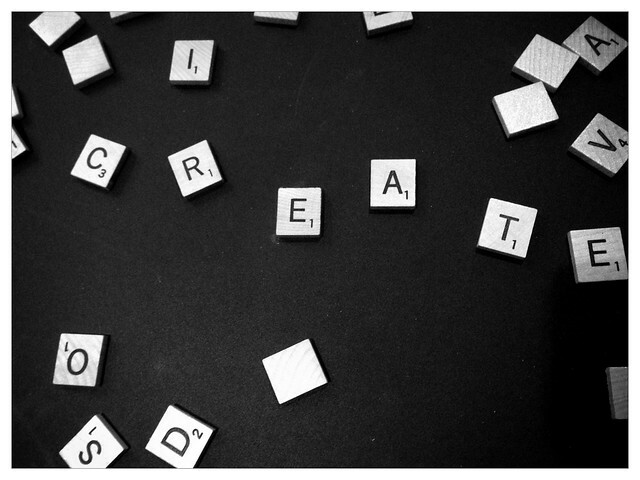 How do we allow creativity to happen? Did you know that critical thinking, conflict resolution, collaboration and communication are just a few skills us arts teachers teach every day while teaching our specific fields? They aren’t very different than what language arts or physical education teachers teach, are they? The most experienced and renowned composers coming together to work on a collaborative composition. Their purpose is to create a beautiful symphony for our youth. This work is going to be epic. This monumental opus involves multiple choirs, orchestras, ensembles, soloists, and conductors. A remarkably simple, but beautiful motif appears throughout the movements. If you and I can create this simple, beautiful motif for learning, I think we can create a great “symphony” worth hearing. 3 Comments Learning for Pleasure, Seriously.